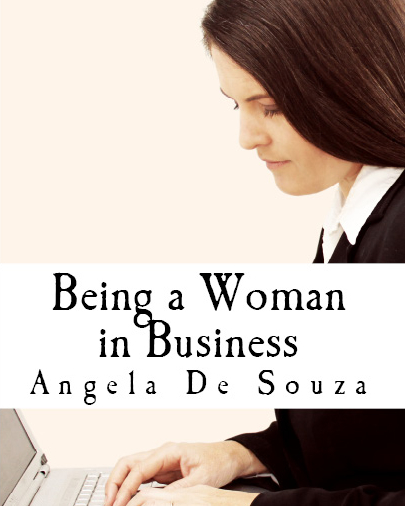 Women have a wonderful advantage in business and that is their natural motivation to nurture relationships. You might not be the best at what you do even though you try, you may not be the cheapest on the market or offer the most perks, but if you have a good relationship with your client you will keep them loyal to your business and oblivious to the competition. Deborah Tannen's 1990 best-seller, You Just Don't Understand: Women and Men in Conversation , explores the different conversational styles of women and men at length. Based on her research, Tannen concludes that boys' and girls' early social lives are so different that they grow up in what are essentially different cultures. Thus, talk between women and men, is in fact cross-cultural communication, fraught with as many potential misunderstandings as communication between individuals from different countries, ethnic backgrounds, languages, or religious groups. As a matter of basic world view, Tannen establishes that men see themselves as engaged in a hierarchical social order in which they are either ‘one up or one down’ in relation to others. Their communication styles and reactions to others' communications often stress the need to ‘preserve independence and avoid failure’. Women, on the other hand, tend to see the world as a ‘network of connections’, and their communications and interpretations of others' communications seek to ‘preserve intimacy and avoid isolation’. Tannen's conclusions echo an earlier well-known book on this subject, In a Different Voice by Carol Gilligan. Gilligan cites research by a number of psychologists and other experts that has found marked differences in the basic operational modes of women and men, starting from the time they are very young children. For example, in observing girls and boys at play, Piaget and Lever (in separate studies) found that as boys grow they become "increasingly fascinated with the legal elaboration of rules and the development of fair procedures for adjudicating conflicts”, while girls "have a more 'pragmatic' attitude toward rules." Girls are "more willing to make exceptions and are easily reconciled to innovations." Boys' play is observed as more competitive, while girls' play "is more cooperative." Understanding the differences between how men and women relate will hugely impact the way we do business. Our natural instinct to build relationship rather than compete is to our advantage in many ways. Strong, healthy business relationships make for a strong and healthy business. Men might have to work a little harder than women at building these relationships but there is a down side too. Women tend to be more gullible and less discerning about relationships that should be avoided. Women get their sense of self from relationships. Women see a failed relationship as personal failure. In business it is essential to build great relationships but only with the right people. In fact only 10% of the people you know should be your priority. Another 10% of the people you know should be completely removed from your business life and possibly even your personal life. You should not be in a relationship with some people. Cutting them off is not a failure on your part but actually a wise move. Men find cutting people off quiet easily but women are often plagued by guilt. If you want your business to succeed you must know how to relate to people and who to relate to. An excellent book on how to relate to people is Winning with People by John Maxwell. An excellent system for who to relate to is what I call the ABCD Database. This is a fantastic system for organising your contacts in such a way that you don’t waste any more time on the wrong people so you can build relationships with the right people. It’s not only who you know that is important but also who they know. Getting in touch with an old friend could open a door that you never expected or lingering in a little chat with your local butcher could be surprisingly beneficial. Write down every single person that you know. Consider anyone at this point from your best friend to an old friend from school, perhaps even your corner shop keeper. You should be able to list more than 100 - 200 people easily. This is the part where we filter out your top 10% and the people that you should not invest time and money in. Put an A, B, C or D next to the names you wrote down using the following guide. These people are for you; they are your supporters and are always there for you and your business. You know you can count on them; they will champion your cause. Usually, the A list makes up about 10% of your database. These people believe in who you are and what you are doing but are less passionate than your advocates. If enough time is invested in them they may well become advocates. Usually, the B list makes up about 20% of your database. These people know you but might not yet know exactly what you do. This list might include old friends or casual business contacts. It’s good to keep in touch with them but spending too much time with them may not be beneficial. Usually, the C list makes up about 60% of your database. These people are bad for business and you need to cut ties with them. Either they lack integrity or they speak against you. You D list is most often negative, unsupportive and critical of you and/or what you do. Being associated with such people can only do you harm. You can’t please all of the people all of the time. Understanding your D list is as important as understanding your A list. Usually, the D list makes up about 10% of your database. Remember birthdays, anniversaries and other significant dates. Write a personal card and send them a gift. These people are worth everything you invest in them. Meet or call them at least once a month. Be sincere in building a relationship with them; don’t make it all about what you can get from them. What you can do for them is the most important question you could ask. Take time to give your A’s thanks and gift for referrals. Nothing you do for your A list is too much. Remember birthdays and write a personal card. Send personal communication by letter or email at least once a month, even if it’s a one liner just to check in and say hi. Offer your B’s incentives for referrals. Remember birthdays and send a card. Don’t be tempted to get back in touch, it won’t be worth it and your time can be invested more wisely elsewhere.